Within the DMS portal you have the ability to review documents that have mis-scanned and attach them to the proper folder (Visit/Client/Patient). 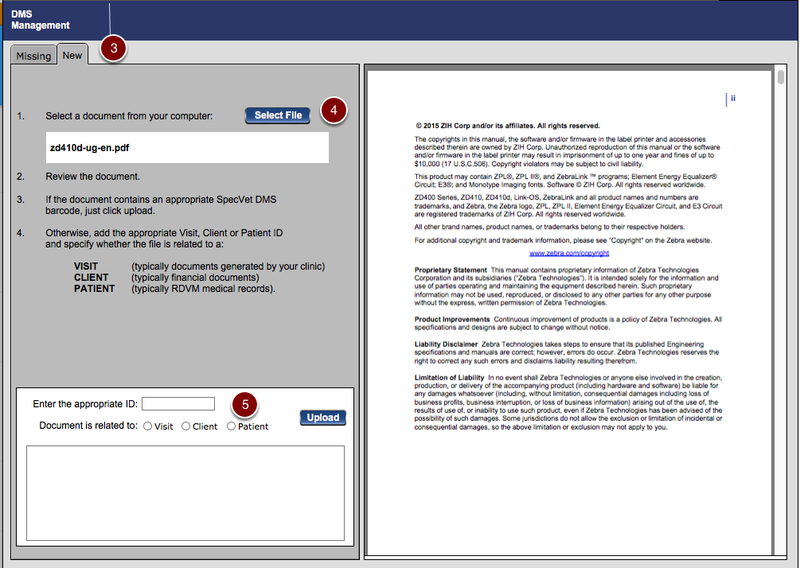 You may also upload documents from your computer into a DMS folder (Visit/Client/Patient). 1. You can view the missing document by selecting the pdf in the table on the left and view the image on the right. 2. 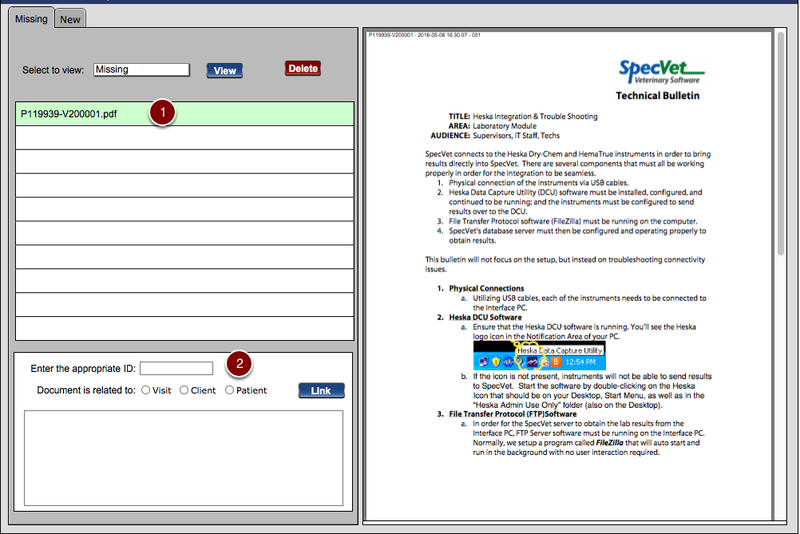 To attach the document to the correct folder (Visit/Client/Patient), enter the appropriate ID in the box, choose the folder you wish to link the document too and select "Link"
5. To attach the document to the correct folder (Visit/Client/Patient), enter the appropriate ID in the box, choose the folder you wish to link the document too and select "Upload"